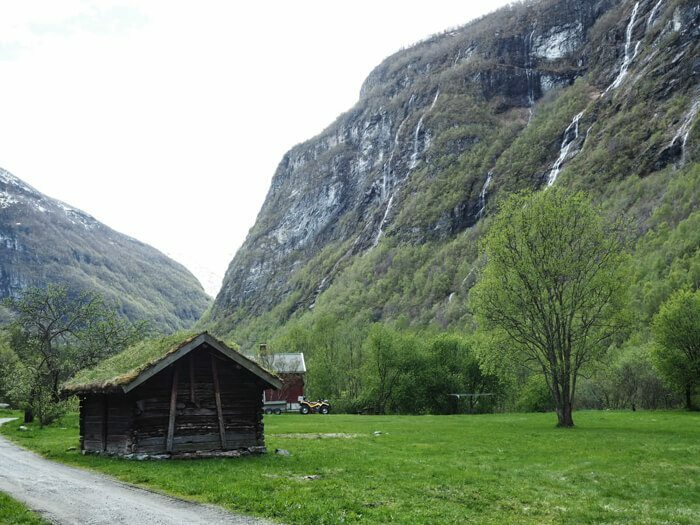 The next stop after Bergen was Årdal to visit my friend Kris at Utladalen Camping and explore a tiny fraction of Jotunheimen National Park. 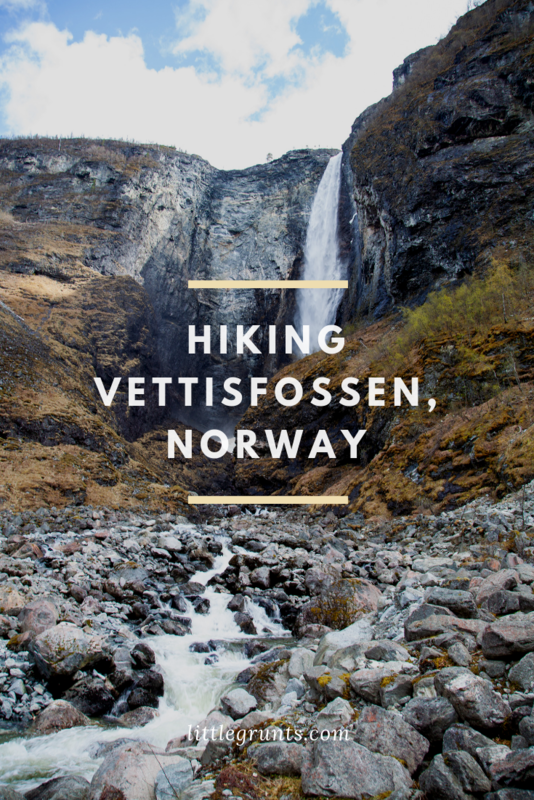 First on our list was Vettisfossen. 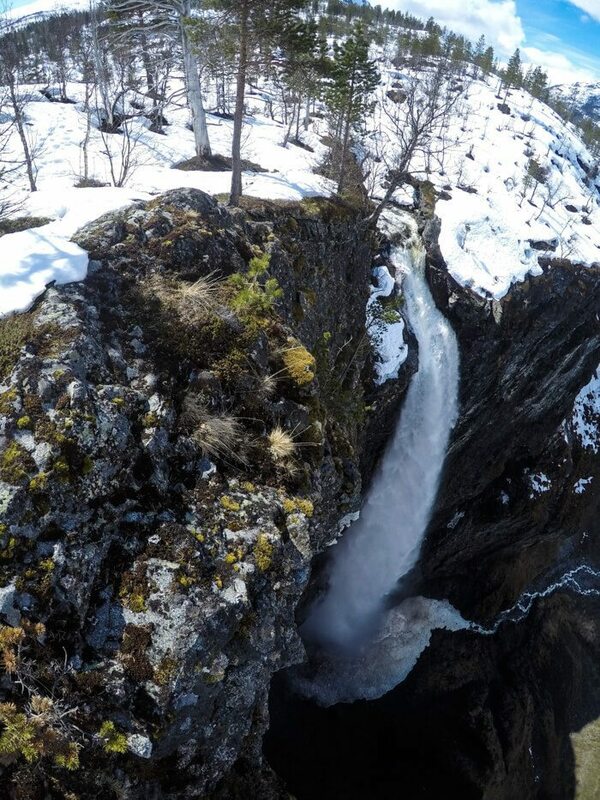 With a drop of 275 meters (or 902 feet), Vettisfossen is the tallest unregulated waterfall in northern Europe—meaning it doesn’t go through a hydroelectric power station. 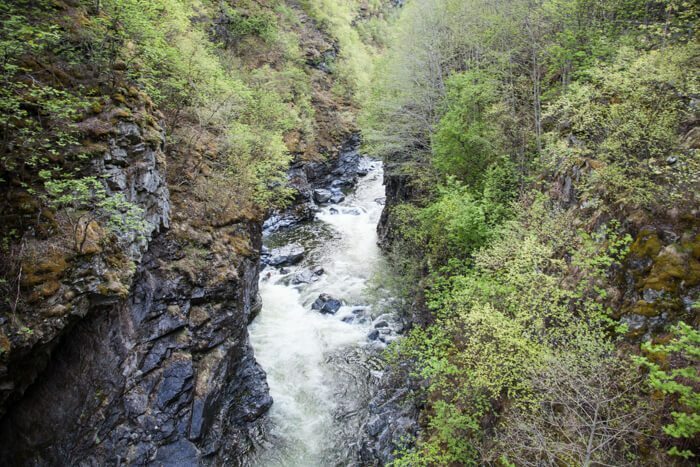 The trail begins on a tractor road that follows the Utla river. It winds around and crosses the river several times before ending at Vetti Gard. 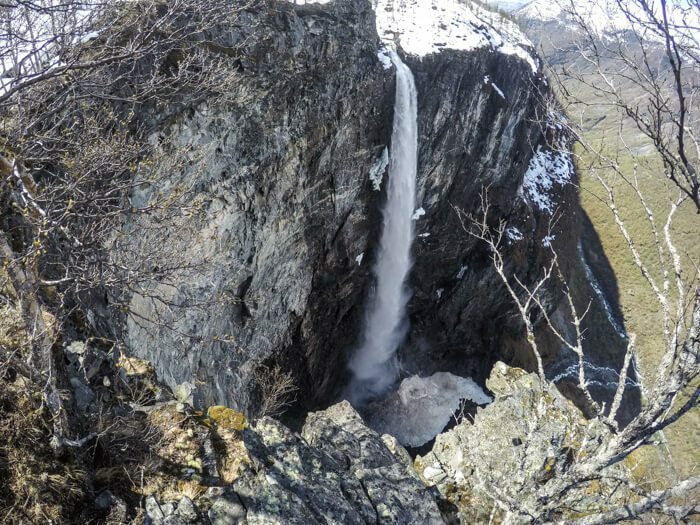 From Vetti Gard, hikers can choose to hike to the top of Vettisfossen or to the base of the falls. We started with the former. The climb up was on a steep trail with narrow, short switchbacks. As we neared the top of the cliff, we began to encounter snow. Our guide and friend, Robert was kind enough to kick in some steps for us and take most of the post-holing. Soon most of our hike was in snow and we finished the climb to a winter wonderland. 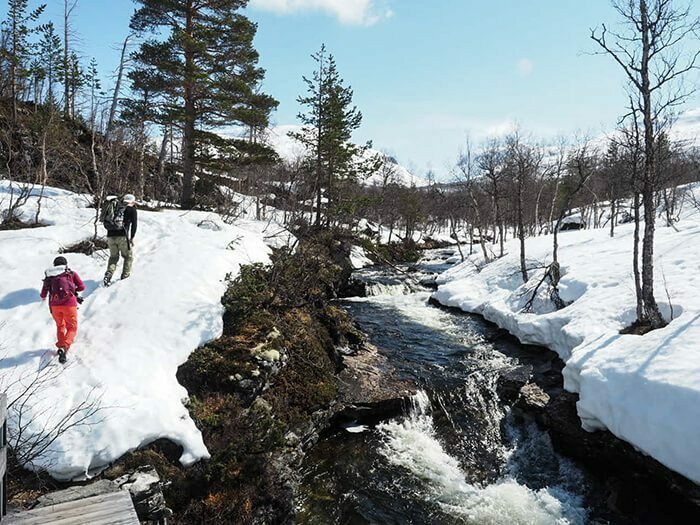 Seriously, Norway has so much snow and it is amazing. 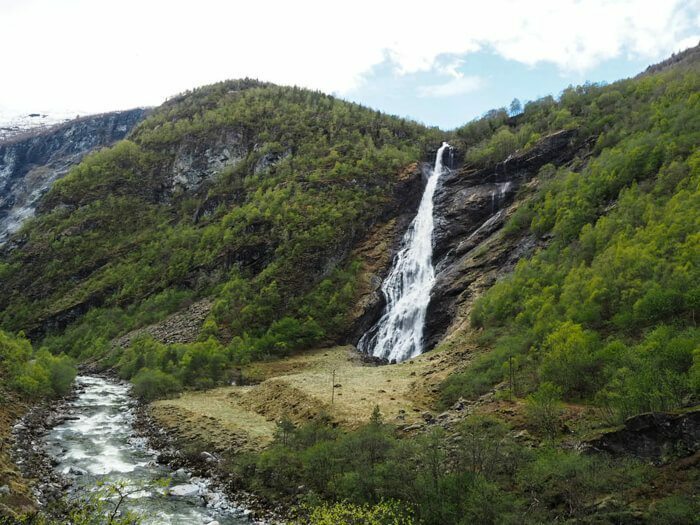 We crossed the river feeding Vettisfossen and then we were at the top. Stashed up here was Eskil Ronningsbakken’s gear for balancing over Vettisfossen. He’d been here just a few days prior to our visit filming with some video crews from China, and he’d be back a week later to do some more filming with GoPro. The views were staggeringly dizzying. We walked along the cliff to an observation to get a better look at the falls. It was breathtaking. 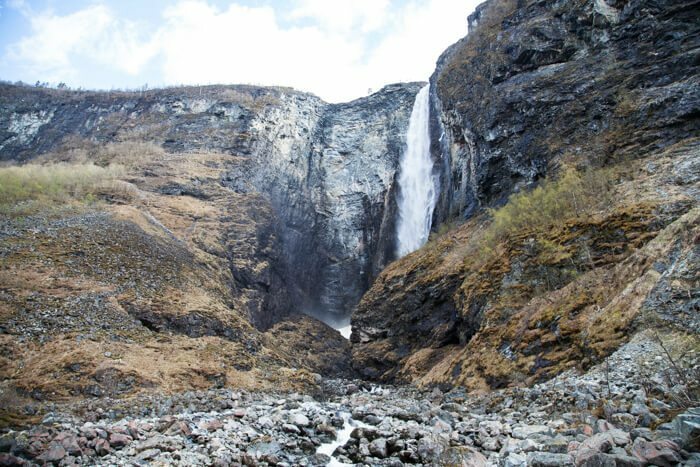 We retraced our footsteps back to Vetti Gard and then continued to the base of Vettisfossen. 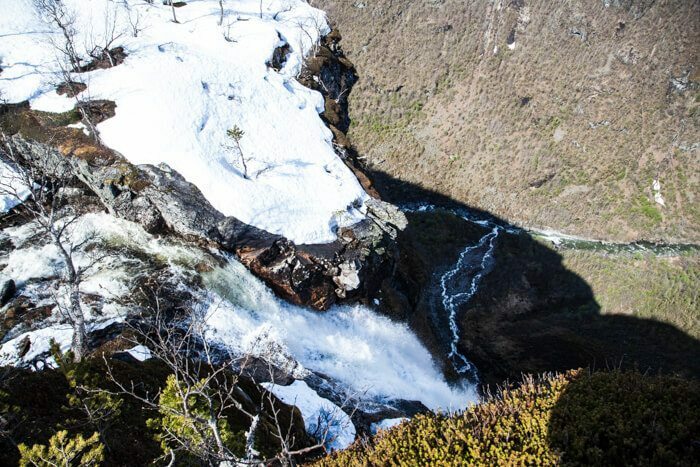 If you liked hiking Vettisfossen, check out Trolltunga and Avdalen Gard.